Compare to $103 cover price on Amazon.com! This would make a great gift for the car enthusiast in your family! 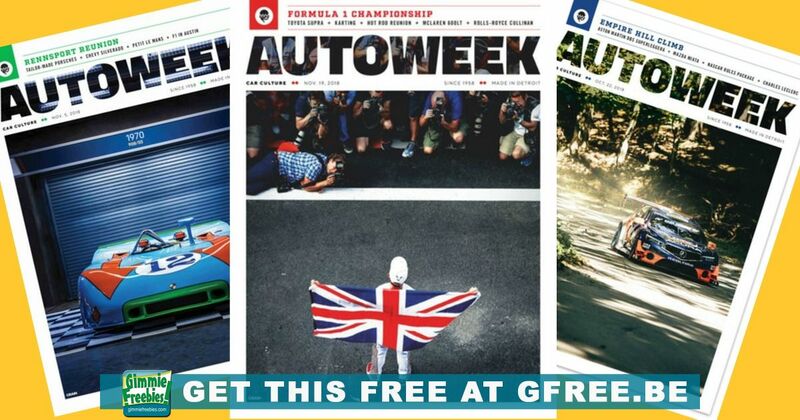 Now, claim your Autoweek magazine – if you already get it, be sure to use the exact same name and address so you get two full years instead of two magazines every month. AutoWeek magazine is regarded as one of the leading automotive publication in the industry. It offers the latest insider news in professional racing events, auto shows, vehicles trends, car reviews, and automotive lifestyle. AutoWeek magazine provides up-to-date and detailed coverage on professional racing events. It includes feature interviews with the competing drivers and profiles of the racing vehicles written by the best in the industry. You will never miss out on your favorite racing event with this magazine in your hands. Click the link above to get your subscription totally free! Allow 4 – 12 weeks for your magazine to start arriving in your mailbox. No credit card required, and you will not be billed.